It’s a hot [meal] ticket when you nab front row at Helm to catch a spectacular performance by Josh Boutwood. But are diners willing to wait in line, online? And how far in advance? The F&B scene is always about pushing the envelope. What’s new? What’s next? Who’s up and coming? The Bistro Group has been riding that wave like a pro for years; while retaining a baseline of dependable tastiness and unfaltering quality, one after another, its products have continued to feed into its influential sphere of newfangled glamour. It’s latest outpost, Helm, which seats 10, provides diners with a personal, interactive dining experience. The talented and affable Executive Chef Josh Boutwood guarantees it. In a way, dining at Helm is a performance of sorts, an interactive form of culinary art. But it is a performance that you can experience with all your senses. Because of the intimate nature of the space (expect one-on-one interaction between the kitchen and guest) and its dining proposition (an evolving, multi-course tasting menu), Helm has decidedly gone with two (2) seatings per night. Each one is kept to a two-hour period. Being that there are just 10 hot seats to fill and that the tasting menu currently goes for an enticingly inexpensive PhP3,500 (all in), The Bistro Group has partnered with Ticket2Me to filter and manage guests via a convenient online reservation ticketing system—a first of its kind in the country. Sure, anxiety-inducing wait lists are a pain and patience is a virtue. But if there’s one thing that is culturally missing from the local dining scene is a strong sense of commitment to dining out. Hot spot ticketing has been a thing for eons. However, fine dining or not, while this update is by no means considered innovative abroad—it certainly is for the Philippines. As of now, interested parties can book and purchase seats at Helm one month in advance but the end goal is to eventually extend that to three. An additional 10 per cent convenience charge goes to Ticket2Me. Fair enough. I hear you ask: How many hours or days before the purchased date can cancellations be made sans penalties—if any? At least 48 hours before the time of your reservation. Should you wish to move your booking with less notice than stated above and Helm is unable to take another reservation for your seats, then the establishment reserves the right to charge the full amount of your ticket. If you make a reservation but do not arrive at the restaurant, likewise, Helm reserves the right to charge a no-show fee at no more than the cost of the ticket. Will this stick? We shall see. For bookings, log onto www.ticket2me.net or access the platform via IOS or Android App. 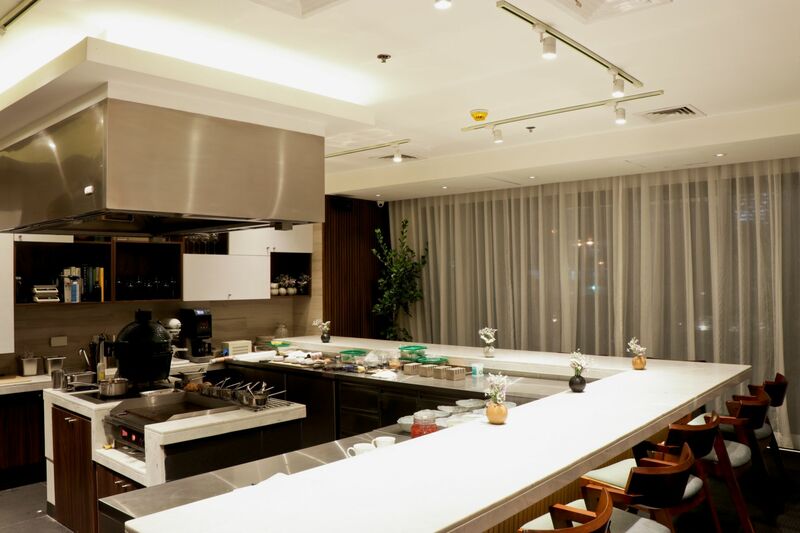 For re-bookings or cancellations, e-mail at helm@bistro.com.ph at least 48 hours prior to the time of your reservation.